Rent The Broadway | Corporate Events | Wedding Locations, Event Spaces and Party Venues. Have you been searching for that perfect, dramatic backdrop for your party? Experience Tulsa's urban event center: The Broadway. and are looking to make a wedding statement that says "you"! Whether your style choice is modern urban, vintage, rustic, classic, casual or formal, you will find The Broadway is the perfect backdrop for your perfect day. Let us add the ceremony to your reception reservation and have the convenience of all the celebrations in one location. Your guests will be greeted immediately with the atmosphere you want to create. 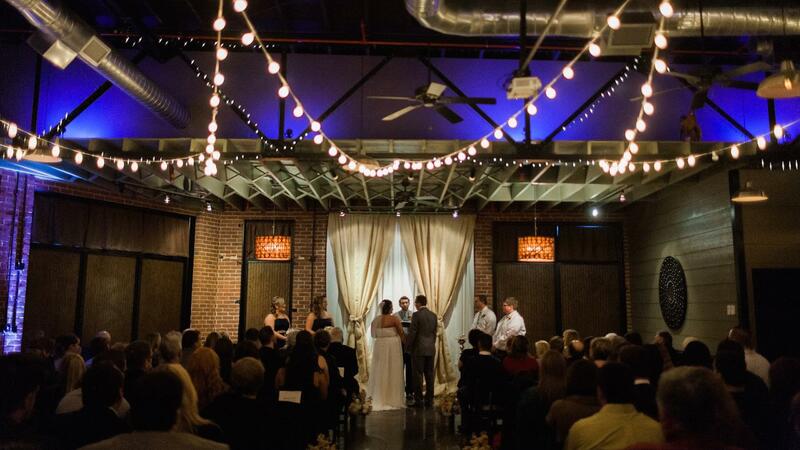 Adding a ceremony to your reception is so easy!